Are you looking for a project management alternative to Asana? Do you feel a little tired of its over-simplistic approach and user interface? Do you want something more powerful and intuitive? Don’t get me wrong. 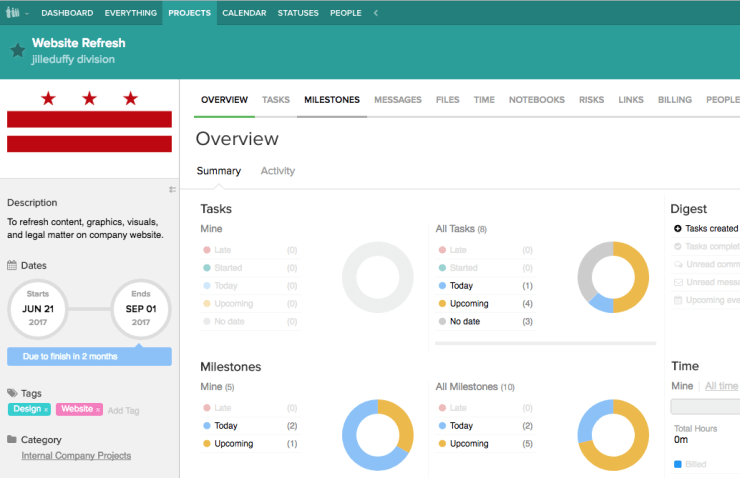 Asana is still a popular project management platform. It’s just that it’s no longer the best. If you’re looking for a good project management solution, then you’ve come to the right place. In this article, we’ll list down 10 of the best project management alternatives to Asana. Here are the tools we will review. Use the links below to jump to the tool of your choice. 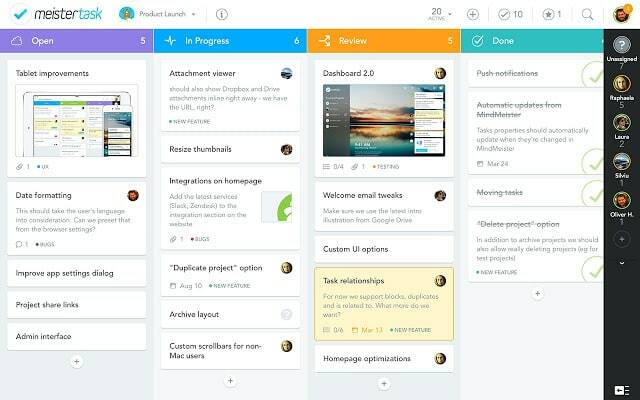 Earlier, when you thought of a project management app, Asana was one of the first names that popped up. For the longest time, it was the tool synonymous with sound project management. When it came out in 2013, it was a breath of fresh air for many – it was sleek and simple. It wasn’t overbearingly clunky like most of its competition. It was an all-in-one solution that offered you a sound project management system coupled with good team communication and collaboration capabilities. In addition to that, the free version of Asana was quite generous. It was extremely user-friendly and easy on the eye too. The problem is, that was great for 2013. We’re in 2019 now, and things have changed. Users no longer want a simple tool to handle basic aspects of project management. They want something powerful, user-friendly and most of all – future-proof. People want a lot more from their project management app now than they did in 2013. 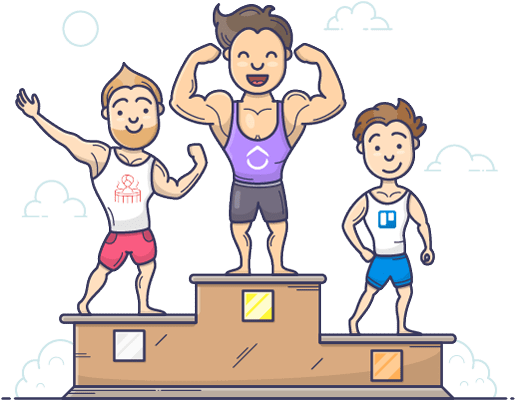 So before we get into each alternative, let’s look at what you should be looking for in Asana competitors in 2019. Resources include manpower, money, tools, inventory – you name it. Your tool should be able to manage a variety of these things. Your project management platform must be able to keep track of all of these – incorporating time tracking, attendance reports, money management inventory management, and which office romance is about to turn serious. The last one is optional, of course! If you’re getting a project management tool, it better be able to manage your projects. Here’s the thing though – this isn’t as simple as it sounds. Project Management involves a variety of processes. Your tool needs to cope with every one of them. You need to look for a platform with schedule management software, calendars, milestone management, to-do lists – and way more! A good project management solution helps bring your team closer – not the other way round. Your team needs to be able to collaborate with each other easily and effectively. Note: See our ultimate list of collaboration tools! Nowadays, teams are incredibly close-knit. Everyone to know exactly what everyone else is working on. That’s why a good project management tool doubles up as a good communication tool. Good collaboration tools should offer your team status updates on where they are regarding a project, communication channels to address concerns and file sharing options to make it easier to collaborate. You could have the most feature-laden tool out there, but if it’s not easy to use – it’s no good. Remember: Project management tools simplify the process, not complicate it further. When you’re looking for a tool, make sure that it’s user-friendly and easy to use. Otherwise, there’d be a lot of time spent trying to figure your tool out instead of actually using it. At the end of the day, this is your project management tool. So it needs appeal and work for you. A good project management tool adjusts to the user’s preferences – not the other way round. There should be customization regarding layouts, color coding, templates, and milestones. Without this, your tool is in charge of your project management – not you. Your project management tool should be a valuable addition to your current process. It needs to integrate with it seamlessly. A good tool doesn’t make you conduct a complete overhaul of existing processes – instead, it integrates with them. This way, you’re still engaging with something you’re familiar with – but only this time, it’s optimized. Like that small puppy you buy for your nephew’s birthday. Something useful, but also fun to play with. Another benefit of integrations is how much scope it gives you. Check out all of the integrations in ClickUp. While your project management tool should have multiple capabilities – it’s can’t do everything. In that event, it should have an integration with a software for that function. Say your tool doesn’t have time tracking built-in – it can still integrate with an external time management software to compensate for that. Additionally, it’s a good idea if your tool is mobile – be it iOS, Android or Windows – your tool needs to be as mobile as you are. When looking at Asana alternatives, you’re looking for something loaded with features and functionality. At the same time, you want a tool that’s simple and easy to use. While these may sound like contrasting terms, they’re both equally important to good project management. With Clickup, you get the best of both worlds. We know that everyone in your team has a different way of working. It’s one of the things that most other project management tools forget. Your marketing team probably likes a different project management app than your tech team. But in the end, you have to choose one and someone has to compromise. But what if that doesn’t have to be the case? We’ve tried to make this platform as user-centric and customizable as possible. This way everyone in your organization – be it the sales team, the tech guys, the project managers – everyone is comfortable using your project management tool. To maximize your productivity, you have the option of viewing Clickup in different ways. You can switch between these views with just a click. This is perfect if you prefer a SCRUM/Kanban style interface. Choose this one if you’d like all your tasks in the form of lists – perfect for GTD fans! This is great if you want an overall look at all your team’s projects. This is popular with managers, because tasks are broken down by assignee. With the Me view, you can choose to only see projects assigned to you – this way your screen isn’t cluttered with tasks that don’t matter to you. Drag and drop unassigned tasks to new dates and fill in your calendar. You can also sync quickly to Google calendar. As there are multiple different options to choose from – you’re guaranteed to settle on one that suits your needs. This way, nobody has to compromise and everyone stays happy. More view options (like docs, wikis, spreadsheets, conversations and embedded files) are coming with ClickUp 2.0. A lot of tools only allow you to assign one member to a task. This can be an issue when you have tasks that multiple people have to work on. Since only one person is assigned, only they’ll receive updates and notifications regarding it. As a result, the other members working on it would remain out of the loop. Not an ideal situation for a team right? With ClickUp though, you can assign multiple people to a task right from your dashboard. Each team member will be duly notified and they can get down to working on it. You’ve assigned all the people you need to a project in a matter of seconds. We know that project management can be dynamic. Schedules, objectives, deadlines – they can all change in a matter of seconds. That’s why rescheduling is an integral part of this process. The problem with it though, is how tedious it can be. You’d have to manually edit each project individually. You’d end up wasting a lot of time and effort just making edits to your current projects. 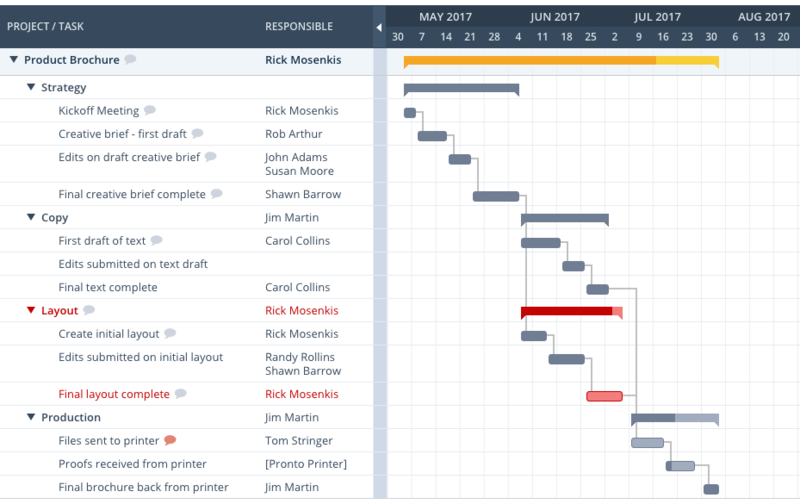 With it, you can reorder multiple tasks and projects in your Gantt chart in a matter of seconds! Just click on the project concerned and drag and drop to where you want. It’s that simple. Clickup can double up as schedule management software for you. You can also prioritize tasks, milestones and task dependencies in bulk to make sure it’s always on the right track. Task rescheduling has never been easier. Ever wonder what the status of project was? Is it complete? Is someone working on it? Is it under review? With ClickUp you no longer have to guess. Just add a custom status to a project and everyone will know what stage it’s in. The key word here is “custom” which means it can be anything – this way your projects aren’t limited to just “complete”, “in progress” and “overdue”. Your team can get as detailed as it wants to be as informative as possible. How many times have you had to set up the same old tasks and checklists for new projects manually? It’s repetitive and frankly, annoying. It’s the same process over and over again. With ClickUp, that’s no longer the case. You can create recurring tasks and checklists to spare yourself the headache of doing it over and over again. Just note down your task/checklist and save it as a template. You can now add that template to any future projects with just one click! You also have the option of syncing your calendar with ClickUp to make rescheduling even easier. Just link your Google Calendar/Outlook account and you can add custom fields and schedules automatically. This way, you can start times and due dates for tasks – all from the comfort of your calendar. We know that there’s a lot of planning that goes into every project. That’s why we’ve provided you with a personal draft task lists tab. 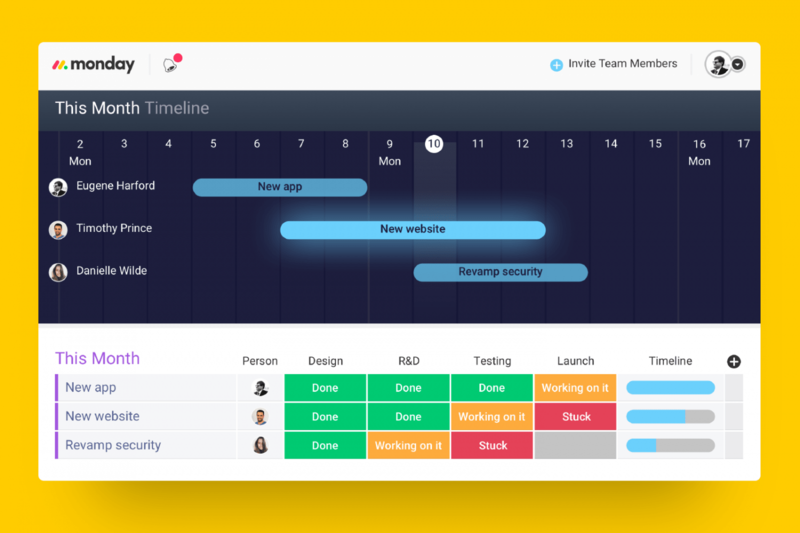 With this, you can plan out potential projects without having to worry about your team members finding out. You can work on it as long as you want until you’re ready to share it with your team. Notifications on a project management tool can be a lot like notifications on a group chat. A lot of the times, it’s information that isn’t particularly relevant to you. That’s why we’ve made mentions more productive on ClickUp. When you tag or assign a comment to someone, only they’ll receive the notification – not everyone else. This way you’re not bothering anyone who isn’t needed at the moment. Communication can be hard when you’re not doing it in person. There’s only so much that a simple piece of text can convey. Often, it’s not nearly enough and there’s a lot of miscommunication. As a result, we’ve made comments super powerful on Clickup. You can paste images, embed images and even add documents to all your comments with mark-down and formatting, too. This not only makes conversations more detailed, but they’re also more productive too. One of the problems with comments is that it’s easy to overlook them. You may have mentioned something important in a comment but the team member may not have seen it. Alternatively, they saw it but didn’t know that they had to take action on it. To tackle this, Clickup gives you the ability to add assigned comments. With this, you can convert comments into tasks assigned to specific people. This way, they’ll take action on it and can mark it as resolved once they’re done. No more confusion. Just simple task management. A lot of times collaborating on tasks online can be difficult. There’s no way of knowing whether your fellow team member is online or working on the task alongside you. 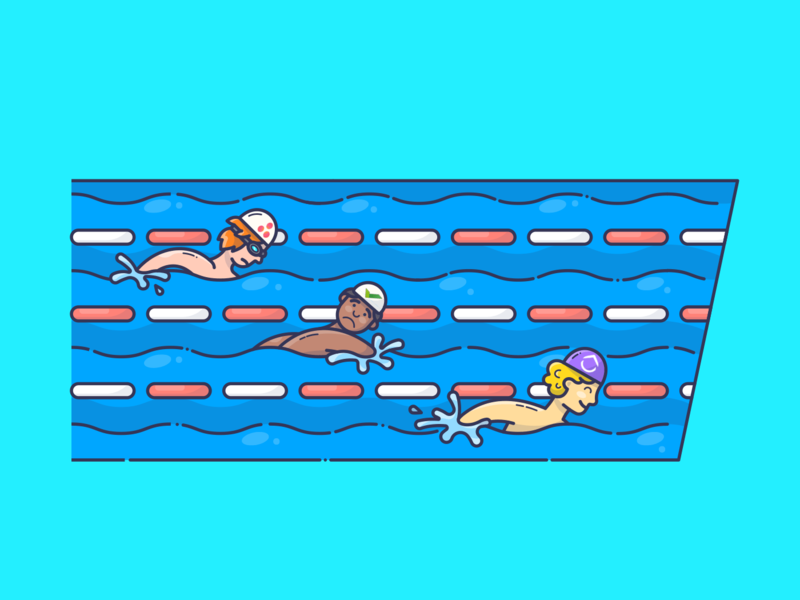 As a result, working together is often staggered – you’d work on it a bit and take a break, and then your teammate would come in and do some work. The consequence of not working together at the same time is that you’d have far more doubts and edits to go through – things that could’ve been addressed then and there. With ClickUp though, you can keep a track of what you’re team members are up to with real-time collaboration. Whenever they’re working on a task that you’ve just opened, you’ll see their icon at the top of the screen. This makes it easier to work together on multiple tasks when you have to. Additionally, ClickUp can integrate with the video conferencing app Zoom to make meetings even more productive. Your company’s safety should always remain paramount. You have to ensure that only the right people have access to the right information. At the same time, you have to be wary of the bottlenecks that security levels bring up. There may be times when a team member isn’t cleared to access information and the whole project stalls as a result. With ClickUp though, this isn’t the case. You have complete control over the visibility and privacy settings of any task. Want a task to remain completely private? Easy. Only want your team members to view it? Done. Only want a freelancer you’ve hired to access it? No problem. This way only the right people will have access to your information at all times. No privacy leaks and no bottlenecks. Updates are an integral part of any project management software. Any software needs to adapt to new needs and preferences. But just having updates is not enough. A good project management tool lets you know what updates are coming in advance. This way you’ll know if your concern will be addressed in the future. With Clickup, you have access to our Roadmap that will detail everything that’s coming up in our future updates. This way, you’ll always be informed about what’s coming up, and in the off-chance that your concern isn’t going to be addressed, you could always mail us at help@clickup and we’ll try and accommodate it. We also regularly ask our users to vote on the features they want and we’ll give you updates on when those features are coming in! It’s all well and good for your project management tool to have a strong desktop app. As people are often on the move these days, you need a mobile variant of your project management tool as well. Simply having a mobile app is no big deal. You need to have a mobile app that’s as good as it’s desktop variant. With Clickup, you have fully functional apps for both iOS and Android. You have all the functionality of the desktop app – multiple boardviews, drag-and-drop rescheduling, assigned comments – everything. This way, you can be mobile and stay productive. Clickup improves on Asana in a whole range of departments. You get better project management capabilities and added customization on the whole. And with useful features like native time tracking and custom permissions, ClickUp is built for productivity. You don’t get nearly as much functionality and personalization on Asana. Additionally, Clickup can integrate with a lot of different tools like Google Drive, Outlook, Chrome and Dropbox. If that wasn’t enough, you can add a custom integration through Clickup’s custom API. Bottom line: Clickup is far superior to Asana and it’s a great choice if you’re looking for an Asana alternative. You want a tool that’s super easy to learn and adopt. You want a single tool for your entire company, rather than have different tools for marketing, engineering, sales, etc. See why you should choose ClickUp over Asana! Are you looking for a Kanban based project management tool? Something simple and straightforward – nothing over-the-top. If that’s the case, then Trello could be a good option for you. It’s made a name for itself for being a clean and simple project management tool. No bells and whistles – just simple project management. With Trello, creating and updating tasks is made very simple. Each task is given a “Board” which can be accessed from Trello’s dashboard itself. From there, you can add custom fields, tags, prioritize tasks and even color coordinate aspects. When it comes to editing tasks and changing things – Trello adopts an intuitive drag and drop approach. It reminds many people of a whiteboard filled with sticky notes that you can move around. It’s uncomplicated and practical – exactly what you need for quick project management. Trello gives you the option of adding “Power-ups” to tasks. These power-ups are add-on features specific to the selected task. Some of these power-ups include voting, calendar views, and Google Drive functionality. One of their most popular power-ups is their Butler feature. This allows you to automate tasks and reminders after setting a base command. While most of these power-ups are free, they have paid upgrades that have additional features. While Trello is a great platform for simple project management, it may not be as appropriate for large scale tasks. There are only so many different cards you can have on the screen before it becomes hard to read. At this point, you’d severely miss Asana’s drill-down quick access features. Some say that Trello it’s more suited to task management than being a full-scale project management tool as a result. 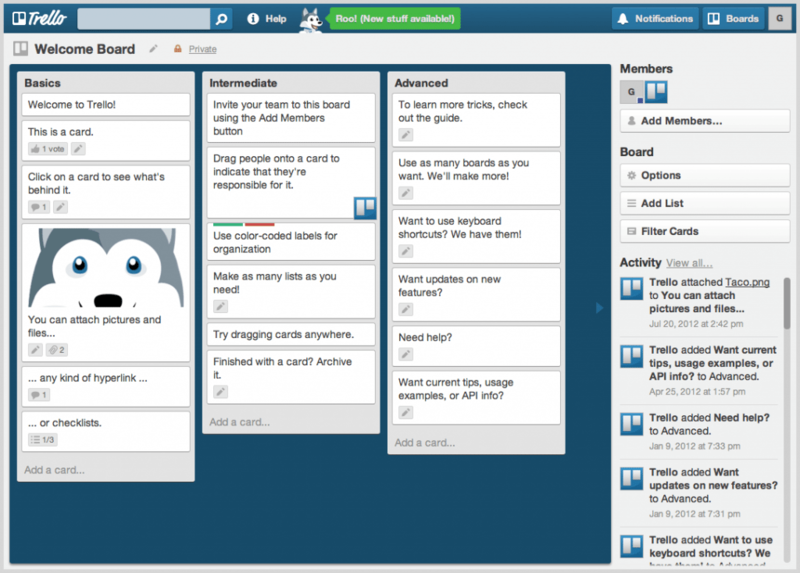 With that being said, if you’re a big fan of Kanban boards, Trello will keep you satisfied. 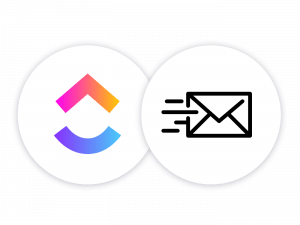 Compare Asana & Trello with ClickUp! I think instead of writing some points here, we can either link to their detailed comparison page like the original article does – or add a comparison table here – I think it’ll do a far better job than a small write up that compares it – it’ll be easier on the eye. It’s no surprise that Wrike makes our list for best project management tools. It’s an award-winning software that was created with the sole purpose of improving the speed and efficiency of teams. And it certainly stays true to that. Wrike makes sure you have all the information you need with their unique three-pane workspace layout. The left pane gives you the project hierarchy – allowing you to work on and adjust various subtasks. The middle pane will enable you to focus in on all the task lists. All while the right pane gives you the details about all these tasks. With this unique workspace, you can adjust task dependencies,communicate with team members, and monitor work progress – all from one window. Wrike gives you the option of creating detailed reports to offer you insights about all your projects. Imagine Sherlock Holmes taking notes for you about your project’s milestones. Two of the most used reports are the Global Report and The Performance Chart Report. The global report shows you task data from all your projects in eight different categories – making sure you get all the details you need. The Performance Chart gives you a visual look at your project progress and milestones in graphical form. This way you can map how far you’ve come along easily. Wrike makes it easy to simplify work requests through their forms and requests feature. With it, you can directly assign tasks to team members and communicate with them using specified forms in no time. What this does is eliminate the need for countless email notifications and text messages. Your team members can now receive all the information they need in one single place. Additionally, some of Wrike’s trademark tools like managing workflows and advanced reporting are missing on Asana. These are features that are incredibly helpful to Agile management and are a necessity these days. While Wrike does offer you a whole load of features, it does so in a way that can be overwhelming. As a result, Wrike’s interface comes off as less user-friendly than Asana. There’s a consensus that Wrike’s workspace is aimed at technical teams and project managers. And therefore, getting the hang of it can be hard. Wrike has multiple variants that you could choose from. Their free tier allows five users to operate on simple task management. They also have non-profit organization and marketer-focused variants with a customized pricing structure on request. Do you like old things? I mean not for the nostalgia but just because they are still as good as the new tools on the market. Want to stick with a platform that’s been around since 2000 and has seen it all? Workzone could be a good alternative to Asana for you then. If you’re looking for a straight-forward, cloud-hosted project management app, Workzone could be a good fit. It’s simple – but has enough in the tank to still be a powerful project management tool. As stated, Workzone takes a no-nonsense approach to project management. You’ll have all you need at your fingertips – always. You can access all your projects through the Project Dashboard where you can take a quick glance at their status. Once you click on each project, you can access assigned tasks, timelines and Gantt charts. The tool will also send you automatic status alerts and email notifications whenever a task deadline is approaching or if one is overdue. There’s also a helpful to-do lists feature make sure you stay on top of it all. One of Workzone’s best features is how easy it is to communicate with your team members. Each task and document has a comment tab at the bottom for each team member to add notes, detail conversations, and edit aspects. This way, there’s a unified activity stream for discussions right where it needs to be. Additionally, each team member will be duly notified when there are any changes made or any comments added. Workzone will provide you with detailed reports about all your projects and team members. You’ll be able to see how much work is left on a project along with who’s been working on it. Each of these reports is completely customizable – so you can view them as charts, tables, graphs – it’s all up to you. Additionally, you have the option of adding custom requests and forms to make task allocation easier. In many ways, Workzone is very similar to Asana – albeit a little more refined. So what you get is a slightly better version of Asana. It’s sleek and simple – with useful features for your team. While it still leaves room for improvement when compared to other more modern tools, it’s still a solid offering. One area where Workzone greatly exceeds Asana is their customer service. Workzone’s customer support team is widely recognized as one of the best in the business. They have excellent issue tracking capabilities and have a reputation for dealing with complaints promptly. You like old things (and not weird old things like old eggs). Team ($24/month per user): For task management capabilities, reporting and 100GB of cloud storage for uploads. Professional ($34/month per user): All the “Team” variant capabilities plus 150GB of cloud storage for uploads. Enterprise ($44/month per user): All the previous features along with SSO, API Access and 200GB of cloud storage. They offer you a 14-day free trial to get you started. If versatility is the name of the game, then Proofhub is definitely up there with the best. Coming into the market around the same time as Asana, ProofHub distinguished itself by being one of the best all-around performers in the market. One of the first things that strike you about ProofHub is its user-friendly interface. You don’t need to be a technical expert here – your regular average Joe can figure it all out in a matter of seconds. There are two benefits here: It makes the onboarding process super easy and it reduces time spent on management when you’re organizing tasks. Organizing teams and tasks from the dashboard is a breeze and so is setting up automated status alerts. You can also color code and prioritize tasks in a matter of seconds to help organize your project faster. ProofHub gives several customization options. For one, you can set custom roles to your team members. What this does is grant different access levels to different employees. This way you can control who in your team has access to what at all times. Secondly, you have complete control over the theme and the user interface of the software. You can even white-label it – by adding your company logo and name on all tasks and files shared there. Lastly, ProofHub’s intuitive interface supports over half a dozen languages like French, German and Spanish. This is where ProofHub really shines. It’s compatibility levels are certainly up there with the very best. You can sync your calendar in the tool with your iCal, Google Calendar or Outlook accounts to make sure you’re always updated. Also, if you were using Basecamp before this, you can import and share files and data from there for free. All this in addition to having fully functional mobile apps for both iOS and Android! Lastly, all of ProofHub’s features are scalable – so you can choose to upgrade or downscale your plan’s features and integrations to cope with your own productivity needs. ProofHub really blows Asana out of the water when it comes to customizability and versatility. You have access to changing settings across a whole parameter of aspects to give you a truly user-friendly interface. 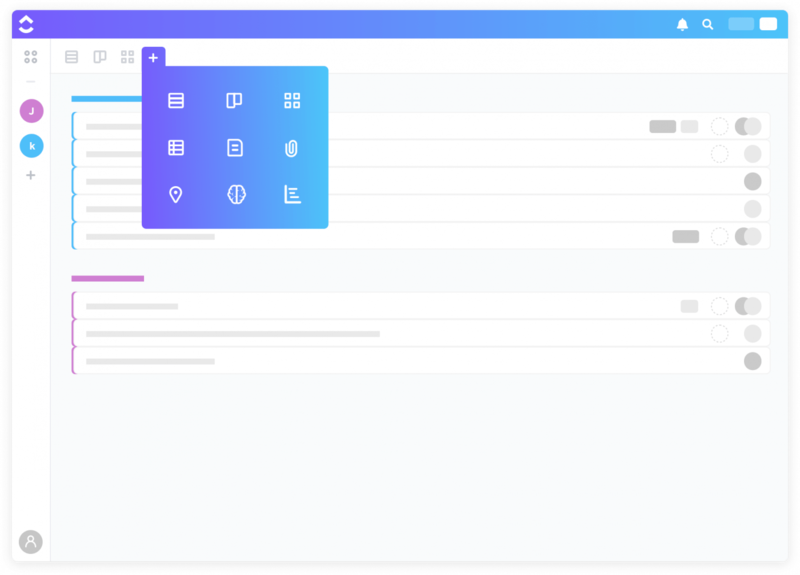 When looking at the pros and cons of its functionality, it doesn’t add too much to what Asana offers, but when it comes to truly making the software your own – ProofHub is far ahead. An Ultimate Control Variant ($99/month) – for a whole load of additional features and an unlimited number of projects and users. You also get 100GB of cloud storage space for uploads. Both plans come with a 30-day free trial. If you’re a fan of Kanban boards but want something with a unique twist, MeisterTask could be the tool for you. Think of it as an updated-for-2019 version of Asana. It has all the functionality you need with the simplicity of the Kanban approach. 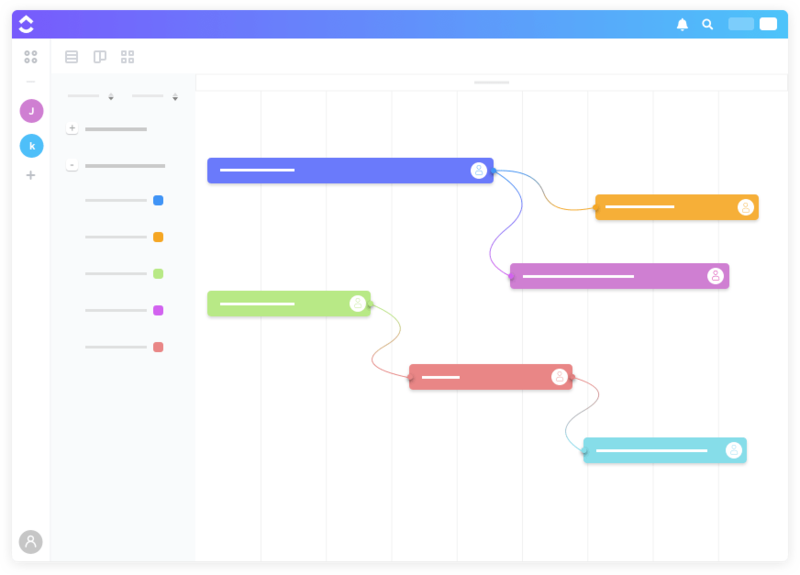 Made by the folks behind MindMeister, MeisterTask is here to change the way you look at the Kanban approach. Why is it a good Asana alternative? Staying true to it’s Kanban roots, MeisterTask adopts a simple, decluttered user interface. You have all your projects listed as cards on the dashboard – each with their own timeline. You can create subtasks and sticky notes to each of these cards right from within the dashboard – making it super easy to organize tasks. There’s also a timer built into each of these cards so that you can see how long a task has been on the board. This isn’t something you find on other Kanban tools and it can be incredibly helpful. One of the drawbacks of many other Kanban based tools was how limited their collaboration software was. MeisterTask seeks to correct that by putting team communication front and centre. Every team member has access to a central hub where they can share files and view documents to collaborate on. There’s also a designated activity stream for them to have discussions, share files, set deadlines and assign tasks. This way, MeisterTask doubles up as one of the better collaboration tools out there too. Like other Kanban based tools, MeisterTask gives you a lot of flexibility when it comes to your workflows. The dashboard is customizable to give you control over what you want to see and what works for you. The same goes for the projects themselves. Each card is customizable to suit you and your team’s needs. You have features like auto due date, video thumbnails, smart search options – the list goes on. While MeisterTask definitely improves in functionality over other Kanban boards, it’s still not quite there when compared to Asana. Additionally, a lot of MeisterTask’s key features are in an early stage, so there’s still a lot of room for improvement. 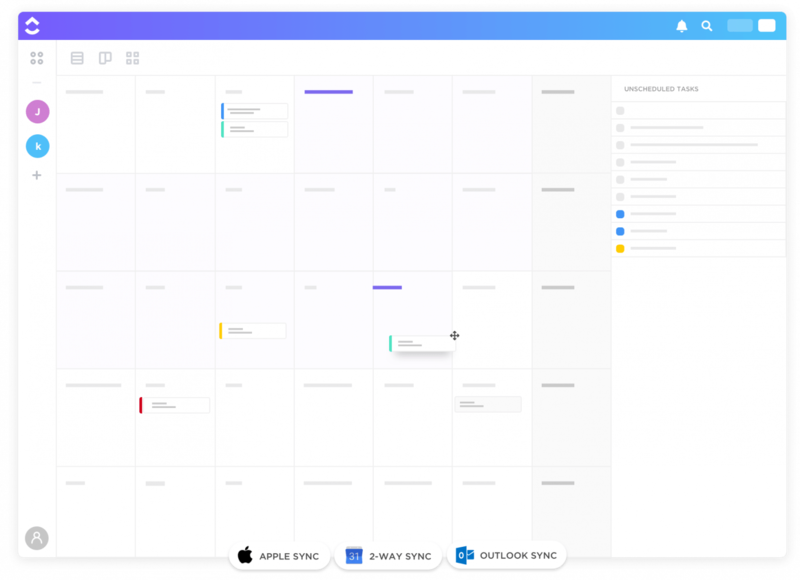 With that being said, if you need a clean, lightweight project management tool with an easy onboarding process and next to no learning curve, MeisterTask is a good option. 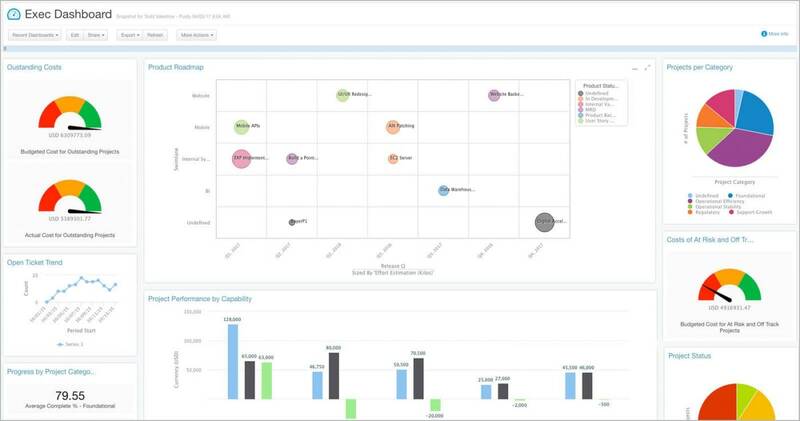 Looking for an enterprise-level project management solution? Do you want all the bells and whistles possible to handle even the most complex of tasks? Clarizen could be an option for you. Clarizen gives you everything you need and more. You have insights into all aspects of your company – be it resource demands, schedules, task dependencies – everything. This is then coupled with the ability to plan ahead and evaluate “what-if” scenarios and make updates to your processes based on that knowledge. One of the missing features on many of these tools is their ability to cope with financial tasks. Clarizen makes sure that isn’t the case here. You can keep your financial metrics in check with up-to-date records about your company’s resources and allocations. This, in turn, helps you meet expectations – be it budgets, invoicing or ROI. Clarizen strikes the right balance when it comes to balancing a lot of key features with an intuitive interface. While it has a host of advanced reporting features, the dashboard is still surprisingly easy to operate. Managers have all their projects on a single dashboard that can be viewed in six different ways with multiple templates. You also have the ability to add notes to make sure any urgent information is easily accessible. All this makes administration on Clarizen far easier than you’d expect it to be. Clarizen is definitely a much better tool than Asana when it comes to managing more complex tasks. With key features like project portfolio management, document management and budget tracking – it’s a far better option for large teams working on big projects. Think of it as more evolved version of Pivotal Tracker. With that being said, Asana is easier to use – and is more suited to small businesses who are used to simpler tasks. For these teams, a tool like Clarizen – with such a steep learning curve, may just be a little overwhelming – and ultimately unnecessary. Clarizen has two paid plans – an Enterprise and Unlimited edition. You’ll have to contact them for the pricing structure. They do offer you a 30-day free trial though. Monday is the new-kid-on-the-block when it comes to project management tools. Formerly known as dapulse, Monday is looking to shake up the industry. Is it successful in that venture? It definitely has the potential to. One of the unique features about Monday is its ability to integrate third-party agents into it as well. One of the drawbacks of most project management tools is that it’s focused on in-house operations only. As such, working with freelancers or external clients can be troublesome. With Monday though, you have complete control over who gets to see a project – whether that’s someone within your organization or a third party. Whoever you choose will remain clued in on the task and will get updates on it as well. This way, even if you’re working with a freelancer, they’ll still have as much access as a full-time employee. Monday emphasizes employee collaboration as one of its core goals. Users can easily have conversations on projects by adding comments and asking questions in the designated contact area below. Additionally, Monday gives you the ability to upload multiple file types and notes, along with following social media feeds like Twitter and Linkedin to record any important points. Monday can become a vital part of your company ecosystem seamlessly with it’s load of integrations. Some of these include Drive, Dropbox and Zapier. If that wasn’t enough, it comes with open API architecture to allow developers to add a custom integration. Monday has quite a few unique factors that it has going for itself. However, it still lags behind when it comes to overall functionality where there’s no option for adding subtasks or recurring tasks. These are aspects that should be standard on any project management tool at this point. But with that being said, it still shows promise, and with their open architecture, they may just add a host of new features to make it one of the more competitive alternatives to Asana. What do you expect from a software called Teamwork? For it to be a great communication tool with top-of-the-line collaboration software right? Teamwork tries to do that, and for the most part succeeds. One of Teamwork’s key features is their dashboard. Unlike a lot of other tools, Teamwork gives you the option of only seeing your most recent projects on board. This can be very helpful as in most cases, these are priority tasks – so it makes sense that they’re front and centre. You can customize the dashboard too – you can add your company name and logo, change the theme and layout – even on your mobile device! Lastly, there’s an “Everything” tab present. Here, you can see all the messages addressed to you and the individual projects assigned to you – all in one neat space. With Teamwork, you can reply to comments, suggestions and reminders directly from your email. You can also customize your email notifications so that you’re only receiving worthwhile information in your mail. All this is coupled with the ability to add multiple email accounts and digital signatures to make your emails as powerful as possible. Teamwork offers your team good time tracking functionality. It’s not a feature that in itself is astounding – many tools have such a feature. It’s what Teamwork allows you to do with it that makes it great. There’s an Invoicing tab in the application that can group together billable time, time spent on tasks and generate invoices. You can customize the hourly rate and whole lot more to make the invoicing process as transparent as possible. Additionally, these invoices can be exported to Excel, Harvest or Blink Scale in no time. Teamwork is a great alternative to Asana because it offers you a lot more customizability without sacrificing functionality. You have features that you wouldn’t find on other Asana competitors as well like the “Everything” tab along with multiple board views. With that being said, it’s reporting and work management lag slightly behind with their Gantt charts needing some work. Are you always on the lookout for the newest apps to improve your productivity? Is scanning the app market for the next big thing in project management something you do on a regular basis? If so, Podio and it’s app market could be the right solution for you. One of the Podio’s calling cards is its app market. There are hundreds of apps on there that you can use to upgrade your tool as per your preferences. You could opt for some organizing apps, budgeting tools, custom project templates – the choice is up to you. With their unique approach to features, Podio makes sure that your tool can be fully customized to your preferences and needs. 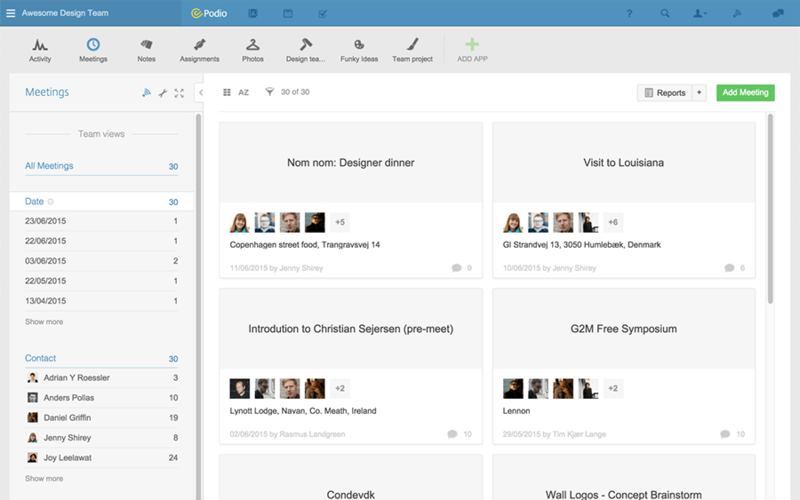 Podio opts for a clean and simple user interface. Your dashboard shows you your activity stream, your current projects and calendar by default. This makes for a very organized and decluttered screen. You do still have the ability to create custom fields,slides and tabs to it though – continuing Podio’s emphasis on customizability. There’s also an integrated chat icon on the dashboard to make team communication easier. Additionally, Podio is able to support 12 languages – making sure anyone around the world can use it easily. If there’s one thing about Podio you’ve noticed so far, it’s the customizability it offers. When it comes to personalization, very few tools can come close to what Podio offers. Sadly, that’s where it stops for them. When it comes to functionality, it severely lags behind Asana with no reporting capabilities or time tracking features in-built. So on the whole, when it comes to pros and cons, there are more drawbacks here when compared to Asana. That’s why a lot of people look at Podio as more tuned to task lists than being a fully fledged project management software. Plus ($14/month) – builds on the basic variant with automated management of your workflows. These are the best Asana competitors on the market right now. While Asana remains a solid offering, it’s definitely fallen behind its competition in 2019. The problem is which one do you choose? All of these tools have their own pros and cons. Which certainly makes the choice a lot harder! 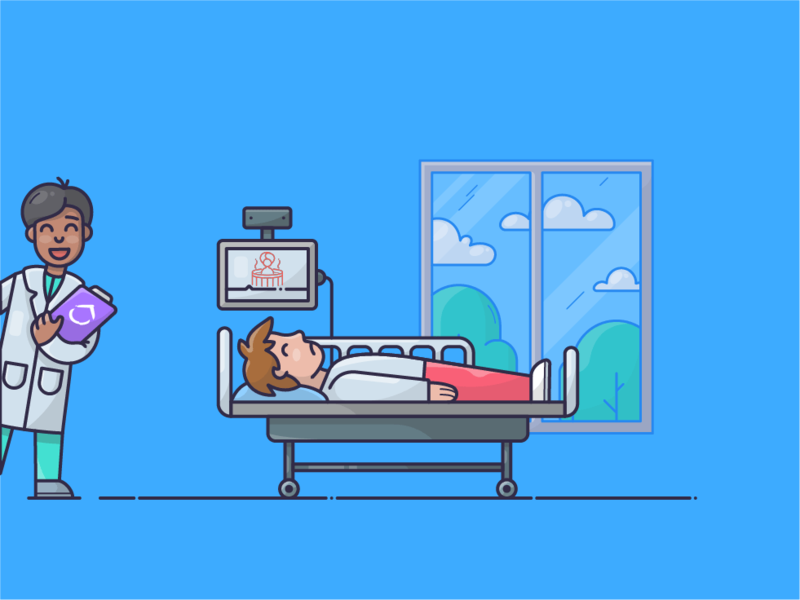 But remember when choosing an Asana alternative, look for one that suits both your and your team’s needs. That’s the most important criteria. If your team isn’t comfortable using it, it’s of no use to you. So what do you think is the best Asana free alternative? What’s the best paid option? Did we miss out on your favorite project management tool? Let us know in the comment section below. And in the meantime, why not take ClickUp for a spin?